Betty Jane Geier, 89 of Bismarck died October 24, 2018 at Missouri Slope Lutheran Care Center. Betty was born September 8, 1929 in Jamestown, the daughter of John and Rosina (Horning) Derheim and was the youngest of 12 children. She attended school in Jamestown and was employed as a waitress at the Jamestown Cafe where one evening she met a young man named Calvin. Mutually smitten, they were united in marriage on her birthday in 1948. They made their home near Heaton, ND where they farmed and lived until Calvin passed away on May 2, 1999. They often referred to their farmstead as “Acre Heaven” and Betty was proudest being a farm wife for 51 years. Betty was also an exceptional cook and her kuchen became a well known favorite for her family and community. In 1992 for their farm auction sale, Betty and her sister Eva baked 95 kuchen. After her husband passed away, Betty moved to Bismarck and lived independently for 14 years. 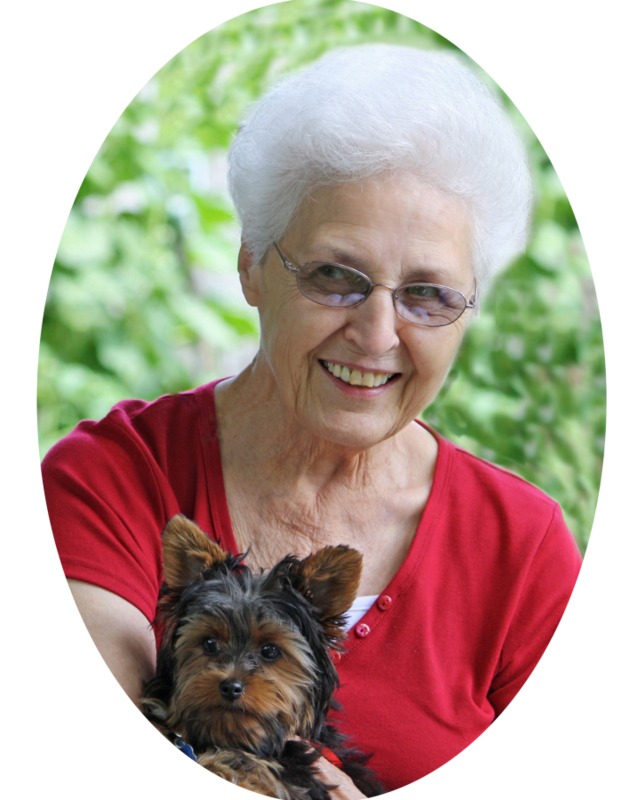 Her last 5 years at Valley View Heights Assisted Living were blessed with many new friendships and caregivers. Betty and her best friend, Bernie Fettig, were often referred to as the “Golden Girls”. Betty’s cheerfulness and smile instantly brightened up the room. Betty always made family a priority, and was a fun loving, caring wife and mother. She looked forward to hosting every holiday for her family and worked endlessly to make them perfect. Her favorite role was being a Grandma and she loved rocking and singing her grandchildren to sleep. She also had many special relationships with her nieces and nephews. Her love of photography and taking pictures was clearly seen in the tons of photos and negatives she always shared with family and friends. Betty’s favorite day of the week was Thursday going to the salon or as she and Cal called it “Hair Day”. Additional favorite pastimes were playing Skipbo and Yahtzee. She also had many special memories going to George Strait concerts. She watched Pure Country countless times and knew every word of “I Cross My Heart”. Betty was a member of the Seventh-Day Adventist Church and her faith was very important to her. She was involved in many church activities and loved taking her baked rice and raisins to fellowship events. Betty’s strong faith was the foundation of her full and happy life. She touched many lives with her kindness, generousity, and positive attitude and will be forever missed by her family and friends. She is survived by her son, Tim Geier, her daughter Karen (Richard) Crawford and Janny (Bob Thotland) Geier, former daughter-in-law Diane Karlstad; her grandchildren Joshua (Jennifer) Geier, Benjamin (Heather) Crawford, Jeremy Geier, Janessa Geier, Jessica (Jeff) Peterson, Bobby Thotland; and 9 great-grandchildren. Betty was preceded in death by her parents, her husband Calvin, and 5 sisters and 6 brothers. Visitation: Monday, 9:00AM-7:00PM followed by a Prayer Service at 7:00PM all at Evans Funeral Home, Carrington. Funeral Service: Tuesday, October 30th at 11:00AM at Bowdon Country Seventh-Day Adventist Church, rural Bowdon, ND. Burial: Bowdon Country Seventh-Day Adventist Cemetery, rural Bowdon, ND. Cook!! And was she ever. We always enjoyed our visits – lots of stories, plenty of good food, and games. Betty loved her family and was always willing to help out. We truly will miss her. Aunt Betty will always be in our hearts. Aunt Betty was always smiling & laughing. She loved her sister Eva & loved playing skippo. Visiting with Betty was always a pleasure & filled with stories of her childhood & things Calvin use to say. She will be sorely missed, but we know she is in a better place. God Bless her family @ this difficult time. It has been many years since I have had the pleasure of visiting with Betty however the thing I always remember is her beautiful smile and cheerful personality. My sympathies to your family for your loss. May God Bless you all with His Love and Peace. Rest in Peace Betty. Betty will always be remembered by staff and friends at VVH as the lady who always had a big smile on her face.. Many times we would just stop by her room and visit because she always made us feel so welcome and loved to visit with us and show her pictures of her family to us… yes we will always remember Betty.. Rest in peace our dear friend..
My sincere sympathy to your family. I will forever remember Betty’s beautiful smile, her kindness and her faith in God. She was a wonderful person and will be missed by everyone that ever knew her. May God grant you strength as you face the day’s ahead and may you find peace in knowing she is in heaven. Calvin and Betty were one of the greatest couples I’ve had the privilege of knowing. Betty was always cheerful and the greatest hostess. She will be missed. May the Lord be with the family as you celebrate her life. I loved hearing we would get a chance to see Great Aunt Betty when we would go back to Jamestown to visit Grandma (Eva) Dodds 🙂 Grandma gave me the recipe to their Kuchens years ago, I live in Wyoming and hold that recipe dear to my heart–I make it for my family and friends now, and the compliments I receive from others and the joy I feel when I tell people “IT’S MY GRANDMA’S AND GREAT AUNT’S RECIPE!” <3 Rest in Peace Great Aunt! Mrs. Geier was always so warm and friendly with her big smile. She was so welcoming when I stayed overnight with Karen when we were growing up. I’m so sorry for your loss.